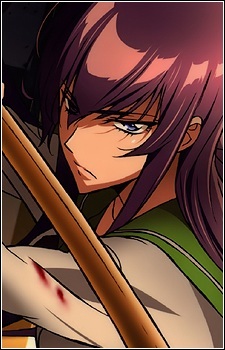 Four years prior to the story, Saeko was attacked by a man on her way home one night; however, she was able to easily overpower the man since she had her wooden sword with her. After severely injuring the man, the police released her due to the circumstances, but the events of that night left Saeko with a profound revelation. She discovered a sadistic side to herself that enjoyed inflicting pain and suffering. It is also implied that at some point in the past she had liked a boy. But she was never able to tell him how she felt, feeling that her dark side meant that she did not deserve to confess her feelings..